Do you multiple investment factors to be fed into machine learning data feature selection set. I explain all this video. 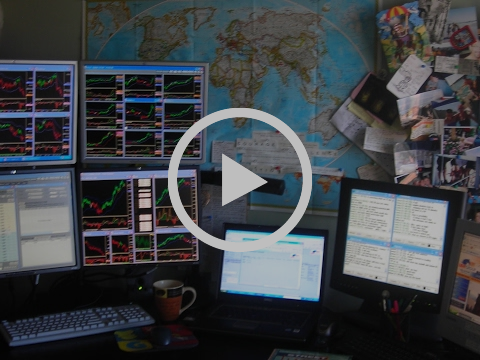 I show some examples with Blackrock and Invesco. This entry was posted in Quant Development, Stock News and Tips, Trading and tagged Asset Managers, big, eed into machine learning, factor investing, features, User on April 17, 2019 by caustic. We are now live with this new 3 month ELITE subscription. I have created an 11 minute tour to walk through the entire service.This does include my recent python 3 infrastructure course. This entry was posted in Bitcoin Crypto Currency, Forex, HFT High Frequency Trading, Premium Membership, Quant Analytics, Quant Development and tagged Course, elite, features, infrastructure, membership, Python, Quant, Walking tour on April 11, 2018 by caustic. 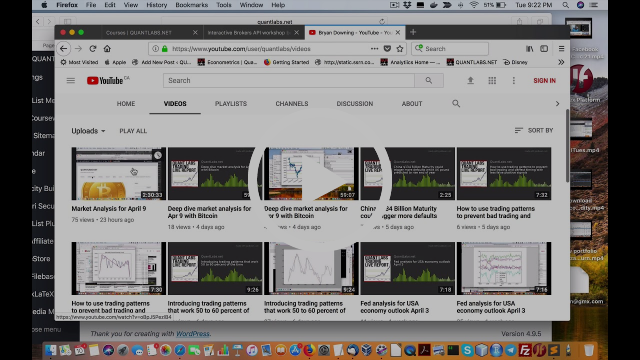 In this video below, I offer my opinion on new features that may be useful for algorithm for systematic traders with the new MATLAB 2016 B. As you know, I have worked with all the major prototyping research languages out there including Python and R. Again in this video I offered my comparison of where I would use each one having its own unique advantages. Just so everybody knows, I am going through a major product and service reset over the next few weeks. I will be able to determine what products and services will continue well into next year. Some will most likely be dropped in coming months including all my Microsoft Windows and .Net related programming items which is part of my Quant Elite Membership. So if you’re interested in any of that, I would strongly recommend you to check it all out by joining or asking questions. All these programming demos are definitely on a timeline as of today. If you are interested in this, get more details of this membership here. This entry was posted in Matlab and tagged 2016b, algo, features, Matlab, trader on September 16, 2016 by caustic. This entry was posted in Uncategorized and tagged 2016a, features, Impressive, Matlab, Next Level on March 10, 2016 by caustic. From this article, I learn the major still use Python 2.x while the cool updates happen in 3.x. How can this still be combined into one language for compatibility as the language splinters? Now you know why I make Python lower on my dev language stack. This entry was posted in Quant Development and tagged features, Python on September 15, 2015 by caustic. Does NOSQL Redis have these clustering MongoDB features? This entry was posted in Quant Development and tagged Clustering, features, MongoDB, NOSQL, Redis on June 23, 2015 by caustic. Sepcial NOTE: on installation: The Server install seems to be work ok but the Workstation some wierd permissioning problems for the database when installed. Successfully and easily installed on my Windows 2012 Server. It is a strange world we live in now that it sort of works. After digging through, Oracle 12c could meet all my requirements. When you read about Liquidnet being used, it got me wanting to try it out. One terabyte may not sound like a lot, but because TimesTen also provides columnar compression, it’s equivalent to about five terabytes of addressable storage. Because it’s in main memory, the entire data store can be scanned within five seconds, according to Oracle. Additional Exalytics boxes can be added to increase total system capacity. NOTE that this is all experimental but so far, I can report it seems pretty decent. As compared to SQL Server 2014 default, it seems not much of a memory hog as compared to SQL Server. This entry was posted in Uncategorized and tagged 'successfully', 12c, features, high speeding trading, In-Memory, install, Message Queuing, Oracle, Requirements on December 16, 2014 by caustic.